If you're like me and not into dresses as much, playsuits are probably your best alternative to a one piece outfit for this summer. Playsuits are just a shorter and cuter version of a jumpsuit, surprisingly to me I only own one, reserved for scorching hot days like today or the beach. If you feel a bit exposed wearing playsuits, cover up by wearing a long shirt like the lovely Alexa Chung has below. 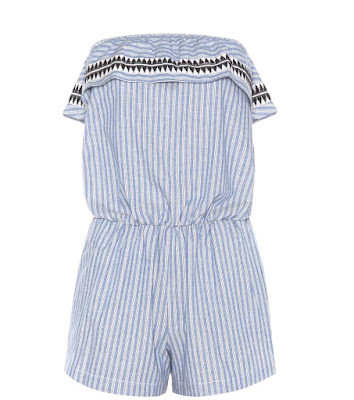 Another option could be a culotte jumpsuit, not short enough to be a playsuit but still great in this heat. 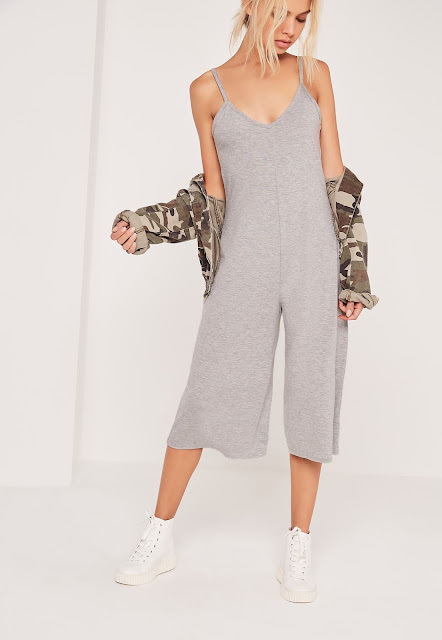 I love this grey jersey jumpsuit from Miss Guided, simple design for an everyday casual look. If however you don't mind showing a bit of leg I've selected a few of my favourites below. 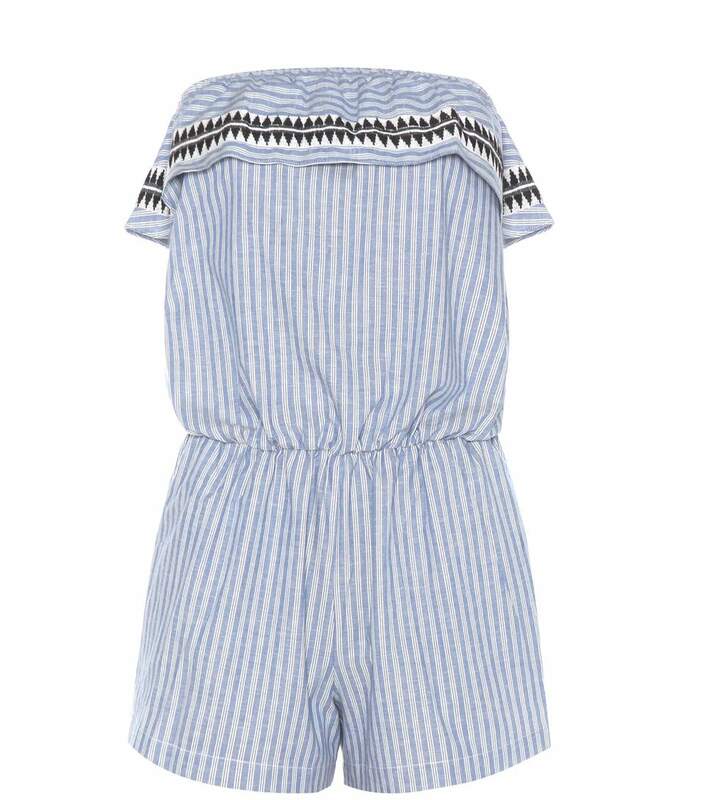 If you're heading on holiday or want to invest in a playsuit, this one is new in by Lemlem, expensive at £220 but it's a classic design that will last you for years, perfect for the hot weather. 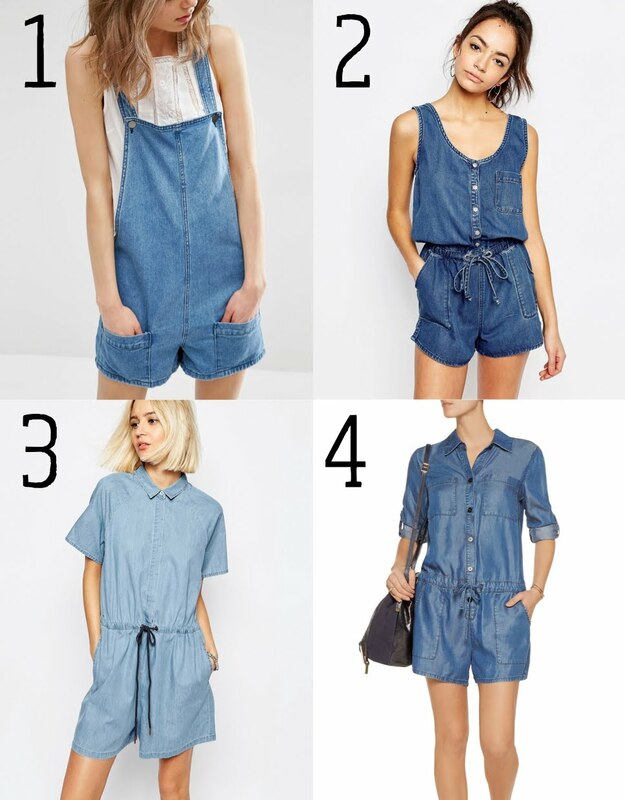 If you're a lover of denim and love your jeans, try a denim jumpsuit, it will give a very relaxed and casual look, great for city breaks. Below are some street style images from Pinterest, as you can see playsuits can be for most occasions, from casual, smart casual to evening wear and with whichever footwear you choose. Thank you for reading and enjoy the rest of the warm week ahead.